Joe approaches financial services and wealth management with the same preparation and passion he has with his love of fishing. As a fishing parable, he is well-equipped and eager to guide his clients on their investment and retirement planning journey as the “weather conditions” of their lives evolve. As an avid fisherman, Joe sees the parallels of achieving success in fishing and investing–both take patience, perseverance, understanding, the right equipment and intimate knowledge of the (economic and fishing) environment. As a financial guide, Joe’s investment and wealth management approach involves a less features/benefits perspective. Rather, he builds and manages customized investment portfolios on a discretionary-basis and acts as a personal money manager to clients. He makes proactive investment decisions seeking to both grow and protect portfolios, and has the ability to use individual equities, ETF’s (index funds), along with a wide range of mutual funds to help diversify portfolios and meet his clients’ individual goals. Like a good fishing guide, Joe emphasizes always moving forward, but learning from the past. 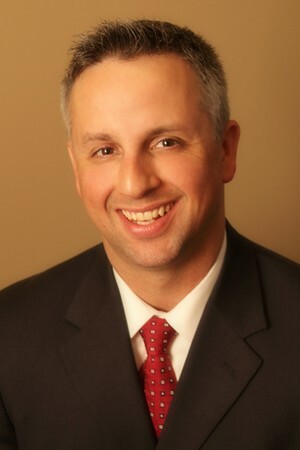 From youth to retirement, Joe’s personal commitment is to be a lifetime partner with his clients. To assist clients in navigating life’s many financial bends and turns, he often collaborates and brings in other professional advisors such as attorneys, CPAs, and specialists when needed. Joe is a graduate of the University of Alaska-Anchorage. He began his financial advisory career at RBC Dain Rauscher, and in 2007 he went independent and is now the Principal of Aley Wealth Management. Originally from the Midwest, Joe spent most of his life in Alaska where he learned the intricate crafts of commercial fishing, working in the oil industry in Prudhoe Bay, and owning a fishing guide business on the Kenai River. Joe also enjoys sports, coaching and spending time with his family. Joe and his wife live in Portland, Oregon with their two children.